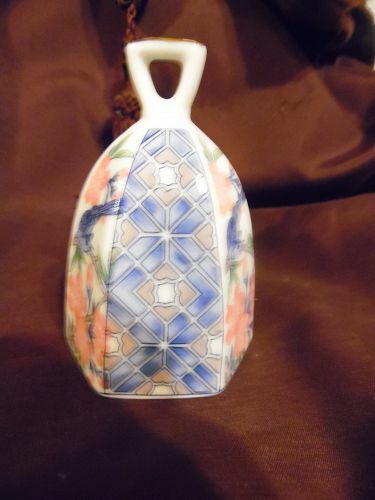 Another pretty porcelain bell from the Bell Collectors Club. This pretty bell has 6 sides of alternating hand painted stained glass and a bluebird on flowering cherry branches panels. Pristine condition and measures 3 1/2" tall.